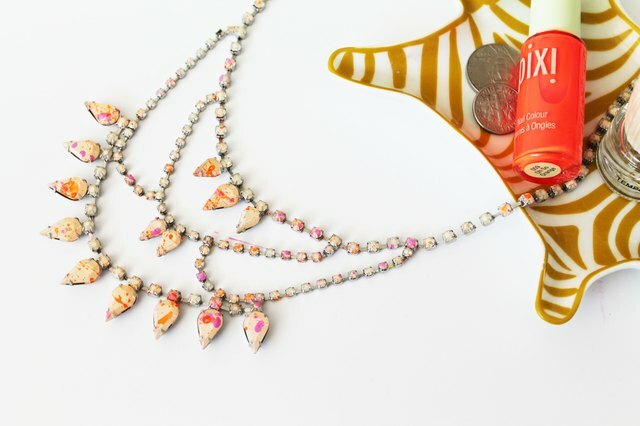 Update yesteryear's jewelry with modern colors and patterns -- like neons and color blocking -- to create trendy pieces you'll want to wear every day! 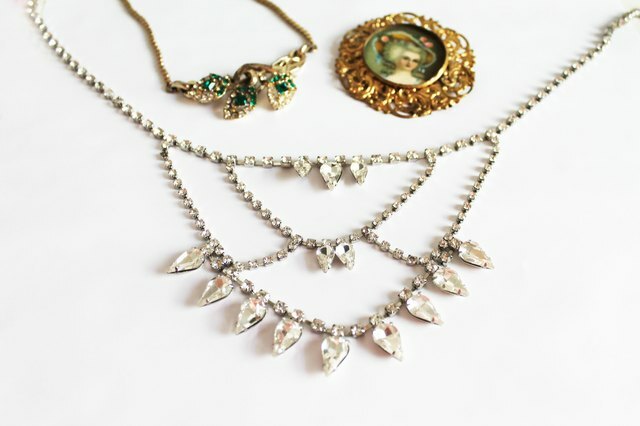 Giving vintage rhinestone necklaces, watches and brooches a face-lift can be as easy as adding a coat of enamel or nail polish. Enamel Paint may stain surfaces and is difficult to remove without paint thinner, so be sure to cover your workspace, hands and clothing. You may consider using disposable paint brushes and gloves for easy clean up. 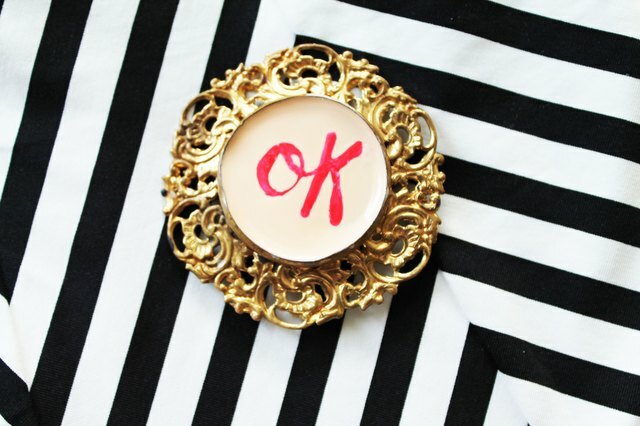 Flea market finds can be a little grungy, so give your pieces a good scrub with soapy water and an old toothbrush. 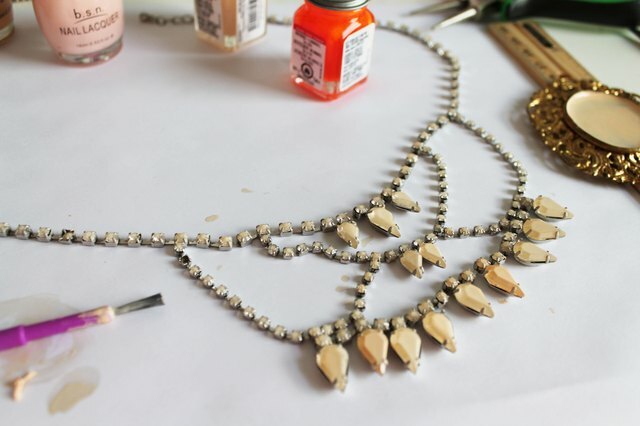 Allow to dry completely before applying enamel. 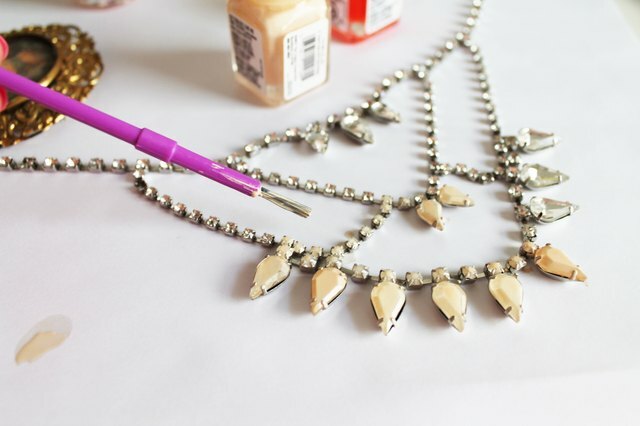 Apply several thin layers of enamel or nail polish to rhinestones or metal surfaces and allow to dry between coats to avoid ripples in the paint -- it's a lot like painting your nails! 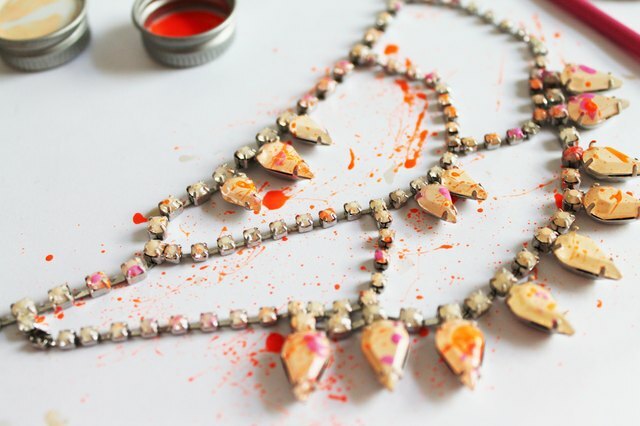 Try splattering different colors of paint over your necklace for a fun effect -- just be sure to wear gloves and adequately cover your work surface! Allow enamel to dry overnight, as uncured enamel will be sticky to the touch and leave undesirable marks and fingerprints in the high-gloss finish. Thicker layers might take longer to fully cure, so be sure to test before wearing. 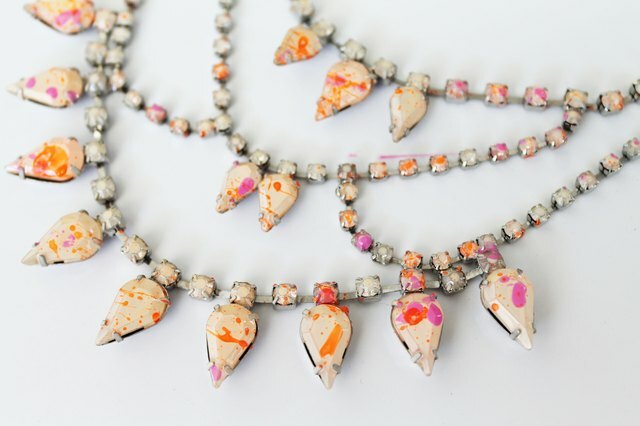 Have a question about enameling or where to find great costume jewelry? Leave them for us in the comments below. Happy crafting! How do I Color Jewelry Golden?